Super Duplex S32760 Tubes, UNS S32760 Super Duplex Pipes, Super Duplex 2507 Pipes, ASTM A790 Super Duplex Steel WRN 1.4501 Seamless Pipes & Welded Tubes Supplier & Exporter in India. We are specialized in Manufacturing & exporting Duplex Stainless Steel Pipe & Tubes which are used in various engineering applications and can be availed in various grades like ASTM A790 UNS S32750, ASTM A790 UNS S31803, ASTM A790 UNS S32760, and ASTM A790 UNS S32205. We offers a commendable range of ASTM UNS S32760 Super Duplex Stainless Steel Pipes & Tubes for the prestigious clients with competitive price, we have the manufacturing capability & production flexibility to respond to the most dynamic & complex needs of our customers. The high chromium and molybdenum content of Super Duplex makes it extremely resistant to uniform corrosion by organic acids like formic and acetic acid. 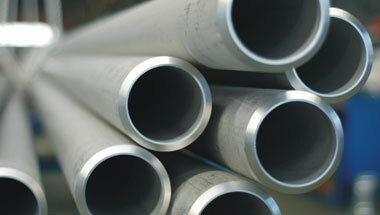 Super Duplex S32760 ERW Pipes, Super Duplex 2507 Seamless Tubes, Super Duplex S32950 Welded Pipes, UNS S32760 EFW Tubes, UNS S32750 Seamless Pipes Manufacturer in India. Malaysia, Mexico, Kazakhstan, London, UAE, New Zealand, Sudan, Cameroon, Africa, Morocco, Trinidad and Tobago, Vietnam, Nigeria, Russia, Australia, Israel, Jordan, Kuwait, Mozambique, Azerbaijan, Iran, Democratic Republic of the Congo, Turkey, Iraq, Tunisia, Indonesia, Egypt, Argentina, Uganda, Colombia, Ethiopa, Thailand (Bangkok), Venezuela, United States, Brazil, Saudi Arabia, Dubai, Angola, Ghana, Sri Lanka, Chine, Peru, Germany, Bahrain, Algeria, Canada, South Africa, Italy, UK, Houston. Sharm el-Sheikh, Maiduguri, Cairo, Istanbul, Cairo, Casablanca, Beirut, Accra, Giza, Riyadh, Ibadan, Khartoum, Dakar, Lusaka, Dar es Salaam, Subra al-Haymah, Bulawayo, Port Elizabeth, Data from the UN, Singapore, Freetown, Douala, Kaduna, Kinshasa, Amman, Abu Dhabi, Antananarivo, Colombo, Benin, Zaria, Yaoundé, Soweto, Tripoli, Pretoria, Kolwezi, Maputo, Brazzaville, Durban, Kampala, Fez, Jerusalem, Omdurman, Johannesburg, Tehran, Nairobi, Rabat, Tel Aviv, Manama, Lubumbashi, Ouagadougou, Doha, Mogadishu, Dubai, Bethlehem, Byblos, Harare, Addis Ababa, Jeddah, Kano, Abidjan, Hong Kong, Mbuji-Mayi, Bamako, Dammam, Mecca, New York, Port Harcourt, Conakry, Lagos, Muscat, Alexandria, Cape Town, Luanda, Aqaba, Algiers.